Episode Summary: Statements about AI and risk, like those given by Elon Musk and Bill Gates, aren’t new, but they still resound with serious potential threats to the entirety of the human race. Some AI researchers have since come forward to challenge the substantive reality of these claims. In this episode, I interview a self-proclaimed “old timer” in the field of AI who tells us we might be too preemptive about our concerns of AI that will threaten our existence; instead, he suggests that our attention might be better honed in thinking about how humans and AI can work together in the present and near future. Recognition in Brief: James Hendler is the Director of the Institute for Data Exploration and Applications and the Tetherless World Professor of Computer, Web and Cognitive Sciences at Rensselaer Polytechnic Institute(RPI). Hendler has authored over 250 technical papers in the areas of Semantic Web, artificial intelligence, agent-based computing, open data systems and high performance processing. One of the originators of the “Semantic Web,” Hendler was the recipient of a 1995 Fulbright Foundation Fellowship. He is also the former Chief Scientist of the Information Systems Office at the US Defense Advanced Research Projects Agency (DARPA) and was awarded a US Air Force Exceptional Civilian Service Medal in 2002. Elon Musk and Stephen Hawking are arguably some of the greatest minds of the 21st century, so when one or the other or especially both express a strong opinion, people sit up and pay attention. Such was the case with the now famous (some might say infamous) statements about the threat of AI to the future of the human race. But some researchers closer to the inner-workings of the AI field aren’t so sure that AI poses such a threat, now, in the next two decades, or ever. 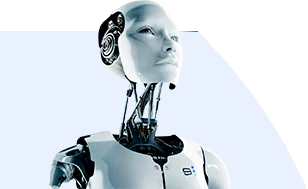 Booming progress in the last decade is certainly part of the reason for people taking more notice and speculating as to what will happen next if AI continues to progress at a similar, or even quicker, pace. Stephen Hawking took this a step further when he described machines that might have the ability to replicate or evolve on their own, asking if they might better fill the social, cultural and other niches in ways which humans can’t even conceive. Hendler thinks this is an odd question to be asking at present, when the technology is nowhere near to being conscious, let alone overtly threatening (a new CBS/Vanity Fair poll appears to show that most humans are not overly concerned about super-intelligent AI taking over the world either). One imminent AI threat about which James is concerned is autonomous weapons. As an illustration of this concern, he relayed a 1983 event in which a Russian officer on duty in a nuclear facility was prompted by a machine-intelligent system to launch a nuke in response to an American missile launch. The officer hesitated because he wasn’t seeing other related warning signs, so he didn’t act; in the end, his judgment saved thousands of American lives. But how do we avoid throwing the baby out with the bathwater? Right now, there are a number of experiments and new companies showing increasing performance in the accuracy of medical diagnostics when a computer is paired with a doctor, a combination that seems to perform better than both a single doctor or computer. For the next generation, suggests James, we should probably be thinking about how to better couple computers and humans in areas like medicine, manufacturing, and many other fields, rather than halting all advancement. While there will undoubtedly be policy issues that need to be addressed, there seems to be a lack of conversation in reference to a middle ground where AI may be able to help us, especially in promoting partnership rather than sheer automation in many of these areas, he suggests. AI and Humans, Better Together Than Apart? Which is where discovery informatics comes in, with algorithms that can connect the scientific community at large and encourage the sharing of available information on a routine basis, where they can hypothetically view all web-published papers that support and contradict their theories. “Unfortunately most of this technology is being used to promotes better ads, but it’s there,” says Hendler. Sounds like the next generation of creative partnership will bring humans and AI closer together before (and if) it drives us apart. Episode Summary: Over 100,00 years ago, it may have been advantageous for human beings to be hyper aware of other living things for the purposes of survival. In the future, between the IoT and advances in AI, we once again find ourselves ever more aware. Erik Davis, the author of TechGnosis and a praised journalist and speaker, explores the intersection of the technical, spiritual, and often mystical. In this episode, we discuss how our gut reactions to AI often spring from evolutionary or cultural reasons, and how this shapes our reactions to technology and guides our development of it in the 21st century.